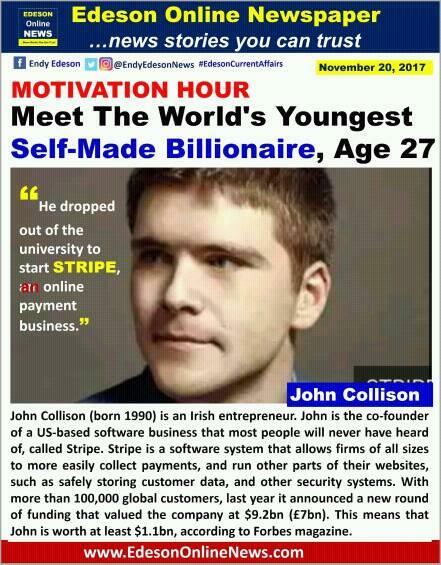 John Collison (born 1990) is an Irish entrepreneur. 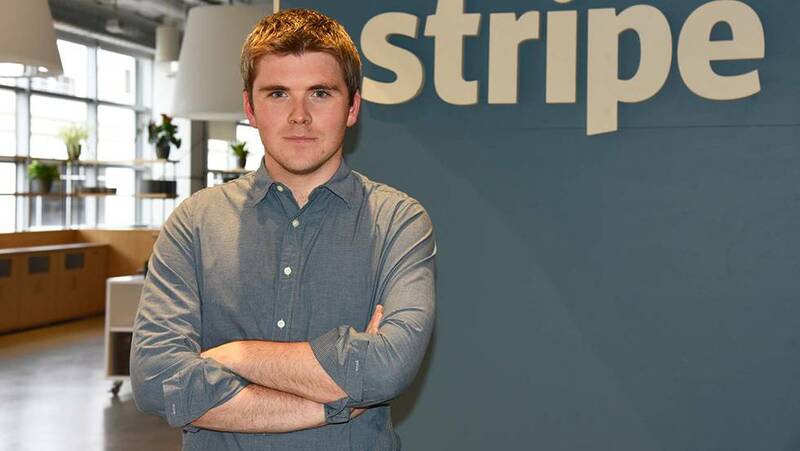 John is the co-founder of a US-based software business that most people will never have heard of, called Stripe. He set up and now runs the San Francisco-based company with his older brother Patrick, 29, who is the world's third youngest self-made billionaire. Stripe is a software system that allows firms of all sizes to more easily collect payments, and run other parts of their websites, such as safely storing customer data, and other security systems. With more than 100,000 global customers, last year it announced a new round of funding that valued the company at $9.2bn (£7bn). This means that John is worth at least $1.1bn, according to Forbes magazine. Not bad forJohn and his brother who grew up in rural Republic of Ireland, and who both dropped out of university. Keen computer programmers as teenagers, John and Patrick grew up in a small village in County Tipperary, in the west of the country. But even before John had started at Harvard, he and his brother had already become millionaires thanks to their first business venture, a software firm that enabled small firms and sole traders to do business more easily on the auction website eBay. Ultimately called Auctomatic, it was sold in 2008 for $5m (£3.8m) a year after they had set up its first iteration. The brothers then turned their attention to Stripe, and continued to work on it together after John started at Harvard. They then both dropped out of university to launch Stripe in Silicon Valley, California. Today Stripe has 750 employees, including 500 in San Francisco, and 150 overseas, including European offices in Dublin, London, Paris and Berlin. Bro this is actually more than achievement, i can only call it an upliftement. Country and community have a huge roll and impact on the lives of average nigerian youths,the western countries have enabled a level playing field for their youths to strive thus their record breaking successes. 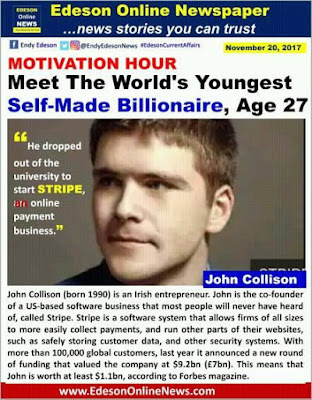 how old is John collison?